A shock has rippled through the world of country music. 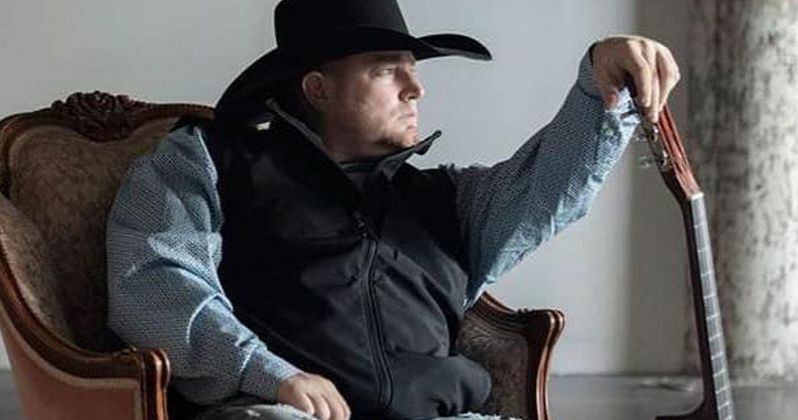 There has been tragic news that a rising country music star, often called the next Garth Brooks, has died. Justin Carter was just 35 years old when his life was ended Wednesday night in his Houston, Texas apartment. It is being reported that a prop gun, which was being used in a music video Justin was starring in, went off accidentally, killing the young country music singer. The budding star had just signed a deal with Triple Threat Entertainment. The deal was secured on Justin's unbridled talent which Triple Threat was more than ready to bring to the attention of the world. Mark Atherton, a spokesperson for the company that recently signed the talented signer, had this to say. "Justin had a potential, in our eyes and a lot of people's eyes, to be the next Garth Brooks. Justin surrounded himself with the people he cherished. They have said the singer, Carter, spent most of his time recording his beloved music at Enclave Recording Studios in northeast Houston. Justin was in the process of finishing a new solo album when his life was so tragically cut short by the errant gunshot. Since late 2018, Justin had already released at least six songs showing his undeniable talent for making music. The last batch of released songs included hits Wouldn't Know and Run. Triple Threat intends to release all the rest of his music, with the proceeds from the songs going to his family which includes a young daughter he has left behind. Carter was not only talented, but he was also committed to his craft of country music. Last year Justin made the statement that he was "fully committed" to having a career in country music. In realizing that goal, the country music crooner had recorded more than 30 songs in the span of six months. All the songs were produced by the singer himself another testament to his talent. He also had at least 3 big shows lined up in 2019 ready for him to play. Carter's mother, Cindy McClellan, when talking about her son's dedication to country music said this. "His music was his world. He was always there for everybody." Justin is a former service member so his family has appealed to Veterans Affairs to help cover costs for his funeral. As with any government agency, things can be slow, so while waiting for their approval, the family is taking donations. The family is asking that donations be sent to [email protected] His talent will be missed by many. His website has left this info about the late singer. "Justin is a Texas born and Texas raised country boy to his core, his passion and drive stem from being influenced by some of the greats since he was just a child. He grew up listening to Waylon, Hank, George and Jones. Some of his favorites are Clay Walker, Garth Brooks and George Strait. Justin's passion is derived from the sound of old country, and he clings to that feeling he gets when he hears it and tries to push that into his music." This news was first reported at Entertainment Weekly.